Go Grab All of August's New Digital Stamps by Joining the 2 Cute Ink Digi Club! 2 Cute Ink club for a discount price! New Digital Stamp Penelope Cat Plus The Winning Name of the Dragon Digi! Very Excited to share a new digital stamp with you today! Her name is Penelope Cat! Grab her right now in the Digi Club! I really loved inking her up and now can't wait to digital color her. Oh and can't forget the winning name for the cute dragon digi is Dudley! Congrats to Elaine! Digital Stamp Name Game! Come and Play! There is still a little bit of time to go and play the name game! You can go to the Facebook post or leave a comment below! What should this cute Dragon Digi's name be? 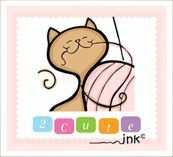 2 Cute Ink Digital Stamps Club! Remember the Digital Stamps Club is a discount club that also has exclusive digital stamps designs! April's New 2 Cute Ink Digital Stamps + Exclusive Club Digi! So excited to share April's New digital stamps and club exclusive digi! Remember you can only get the "Froggie Rain" digital stamp by joining the 2 Cute Ink Digital Stamps Club! I was so excited to do some color samples of this months club exclusive digital stamps! I think it really brings the digital stamps alive! This month would be a great month to join the club and start getting club exclusive digital stamps everymonth! I am hoping to have some extra goodies this month so you wont want to miss out! Wishing everyone a Health and Happy New Year!